MOST CLICKED LINK! 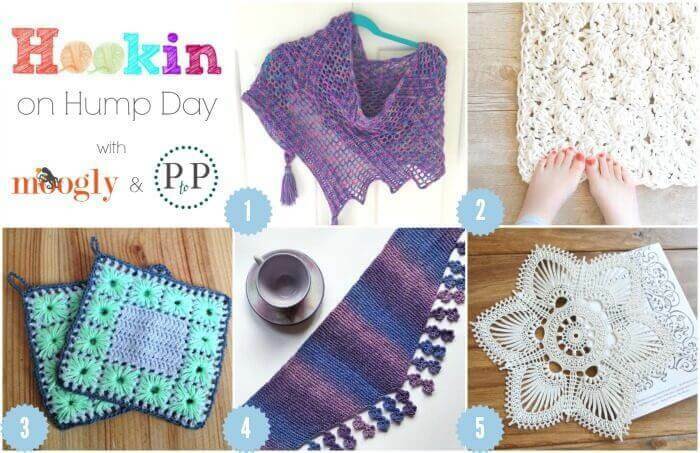 Summertime Shawl from Simply Summer Street – A lovely pattern for those cool summer nights … includes link to FREE crochet pattern! 2. Rope Bath Rug from Mama in a Stitch – Give a spa like feel to your bath with this pretty rug … FREE pattern and photo tutorial to guide your through! 3. Potholders from Howling at the Moon – Brighten up your kitchen with these colorful potholders … includes link to FREE pattern! 4. Falling Blossoms Scarf from Knitting and So On – Combine your knitting and crocheting skills into one special garment … FREE knitting and crochet pattern! 5. Esther Crochet Pattern from Emily and The – Gorgeous lace doily pattern with a vintage vibe … includes link to PAID pattern! Thank you for hosting this fabulous party Kara And Tamara!